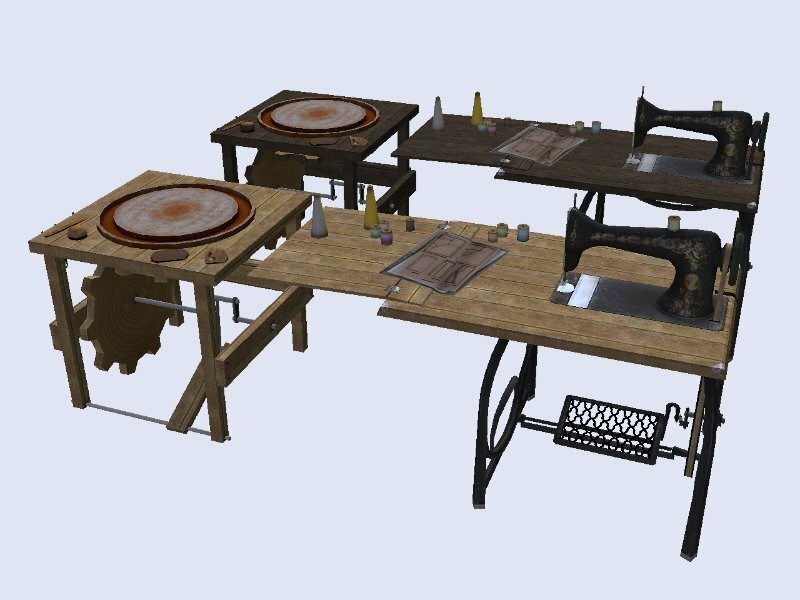 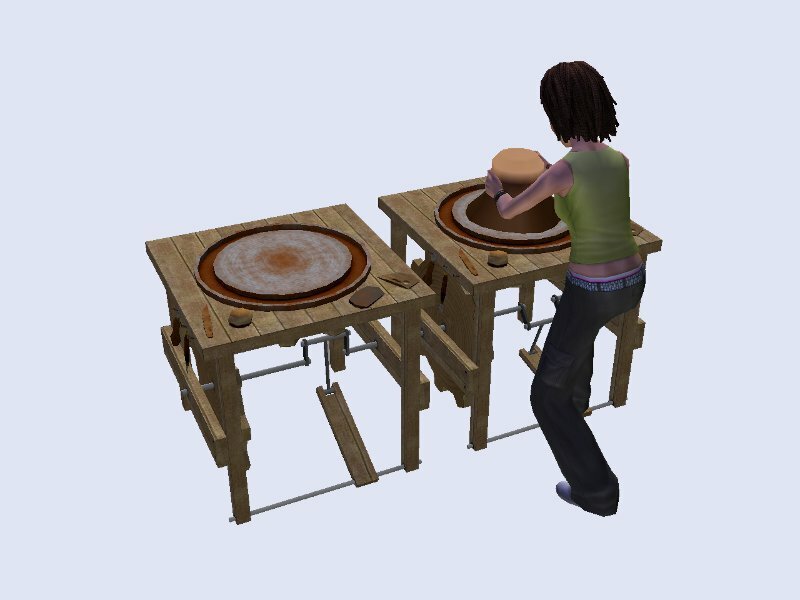 This is a 2 recolours of the Free Time - Mechanical Stitching Machine by Antique Artifacts & Upright Pottery Wheel by QuicKraft. They can be found in - Buy Mode>Hobbies>Miscellaneous. 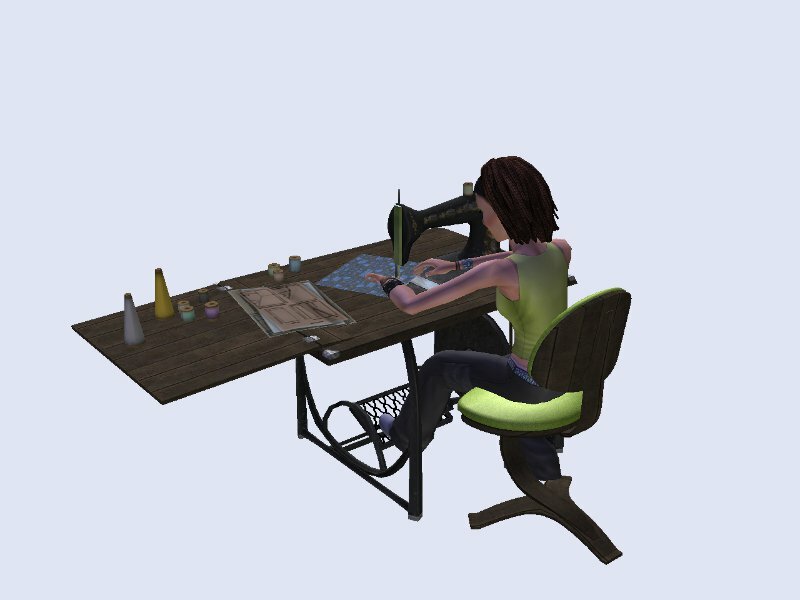 Bonus Base Game 'Stark Inspiration Chair' in 2 colours (frame only).